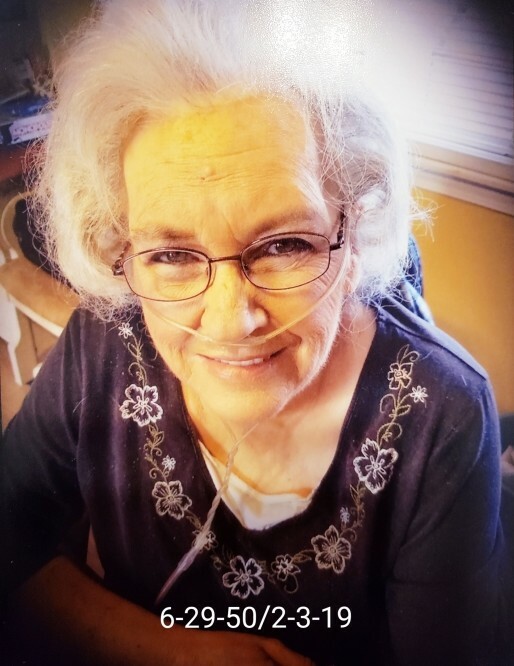 Mary Verne Harris, 68, of Radcliff, KY, formally of Newtown, WV, went home to be with the lord on February 3, 2019 while surrounded by family. Mary was born June 29, 1950 in Columbus, OH to the late Evelyn Morrison Dennis and Bernard Dennis. She was also preceded in death by her husband, Joseph; and sister Barbara Howard. She loved her family and especially her grandkids. Those left to cherish her memory are her two sons Joseph Dale Harris Jr of Radcliff, KY, Michael L Harris Sr of Ashland, KY; her five grandchildren Katelyn Brianne and Kristyn Leigh Harris both of Radcliff, Ky, Michael Lee Jr, Alexis Cierra, and Aubrey Grace Harris, all of Ashland, Ky; one great-grandson, Liam Joseph Harris of Radcliff, Ky; sisters Audrey (Ronald) Pfeffer of Littlestown, PA and Gladys Breeden of West Virginia; and several nieces and nephews. There will be a private funeral service at a time and date yet to be determined by the family.